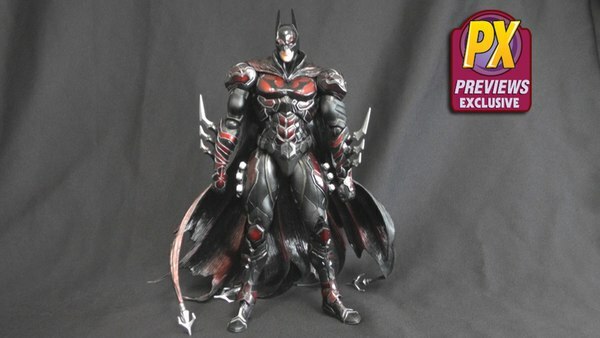 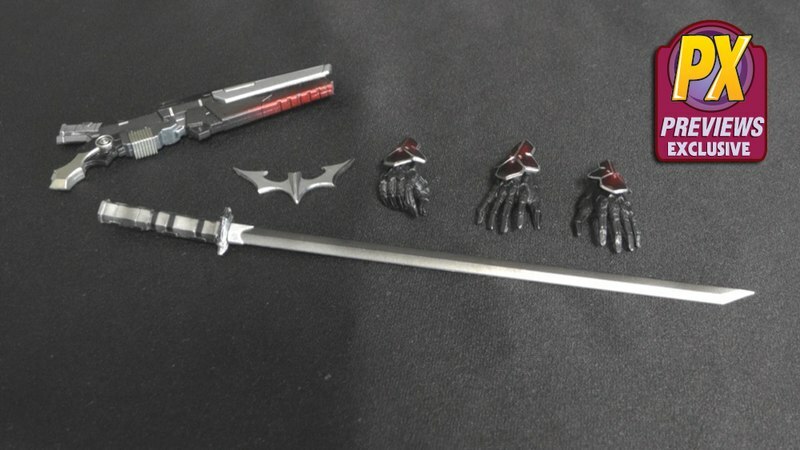 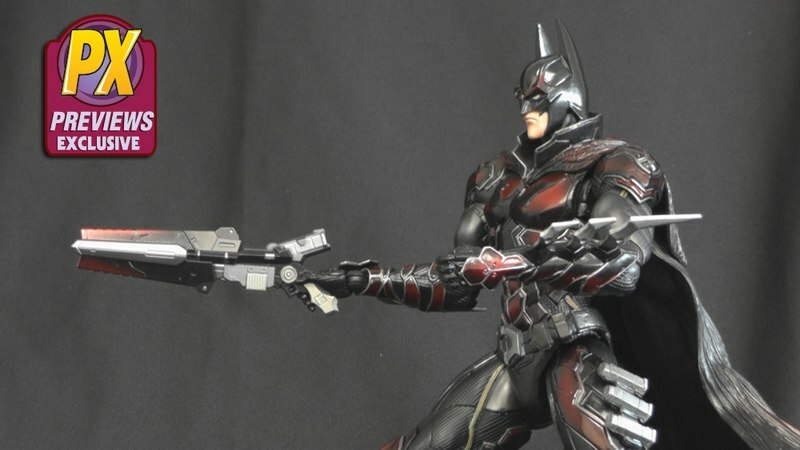 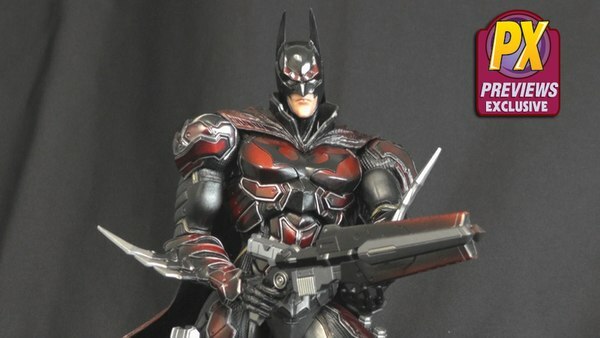 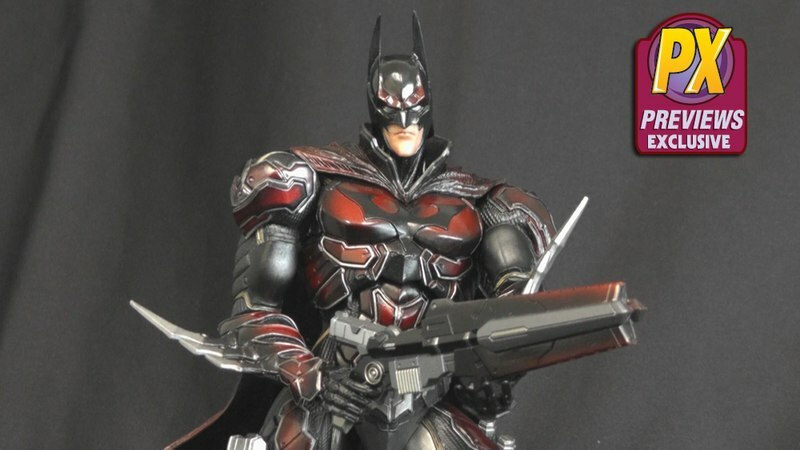 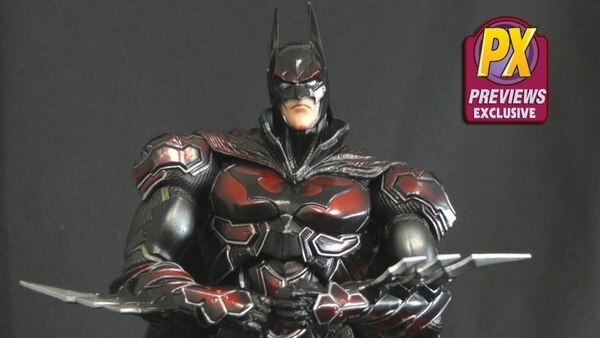 New from Square Enix comes the DC Comics Variant Play Arts Kai Batman PREVIEWS Exclusive "Red Costume" Action Figure. 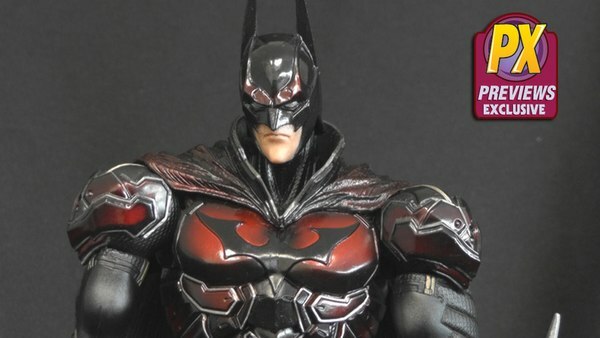 Limited to only 2,500 figures in North America, this menacing reinterpretation of the Dark Knight merges the classic DC hero with the styling of classic Sengoku era Japan. 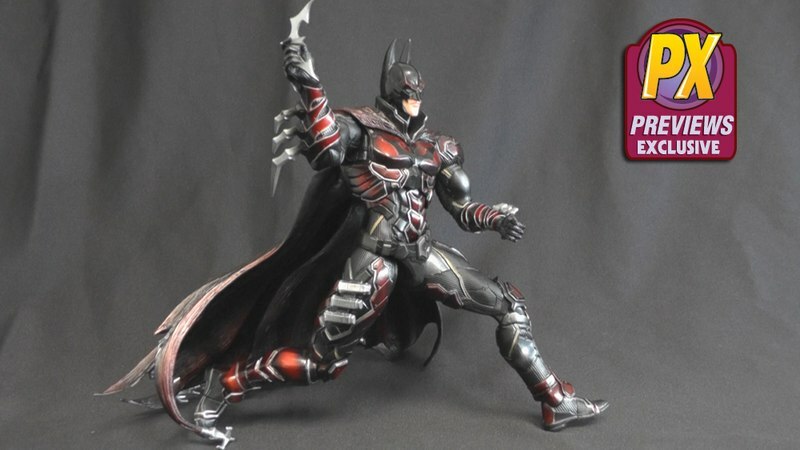 From the glossy red trimmings styled after traditional Japanese lacquerware, and armor designed with elements of ancient Japanese armor, this figure recreates the classic Batman you know into something new. 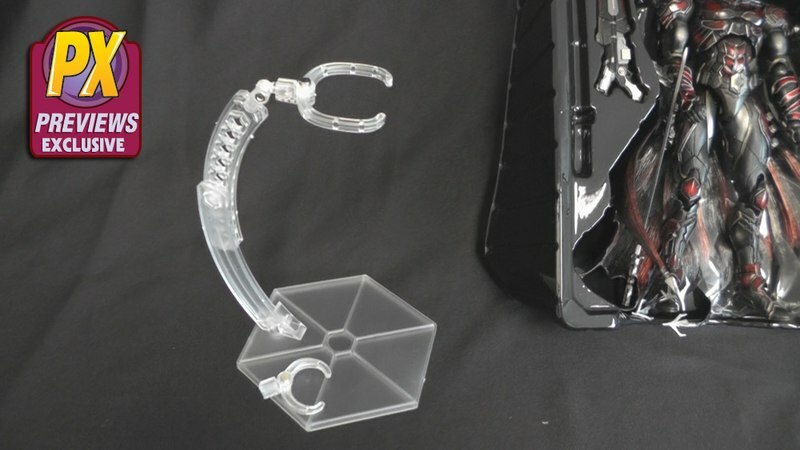 Even Batman's tools like his grapple gun and batarang have seen a makeover. 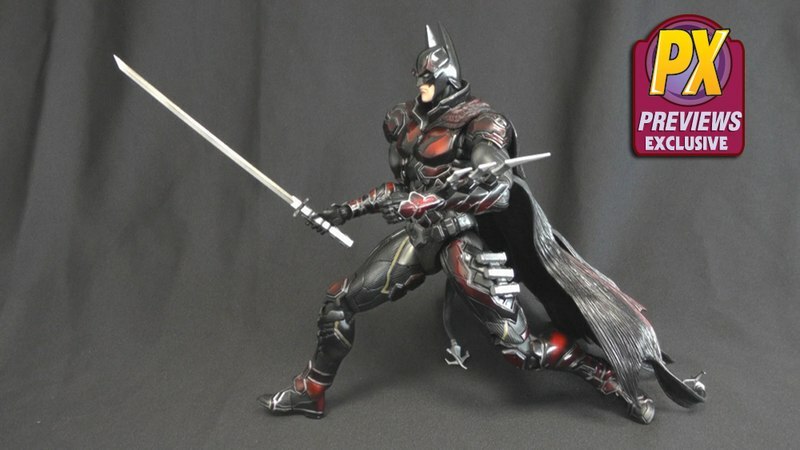 He also comes with a traditional Japanese ninja sword to really complete the new ninja look. 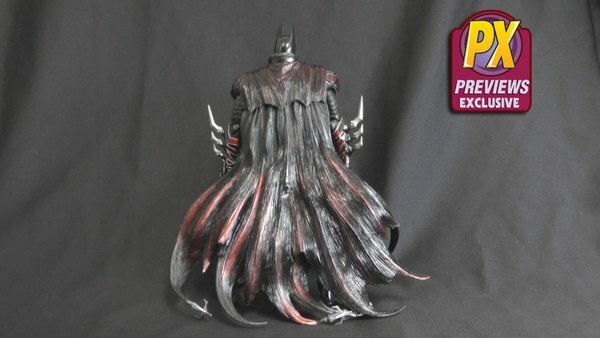 From cape to cowl this Play Arts Kai Batman variant has seen a make over that would be irresistible to any Batman fan. Packed in window box packaging and included with a display stand, this 11'' tall posable action figure will look great in any Batman collection. 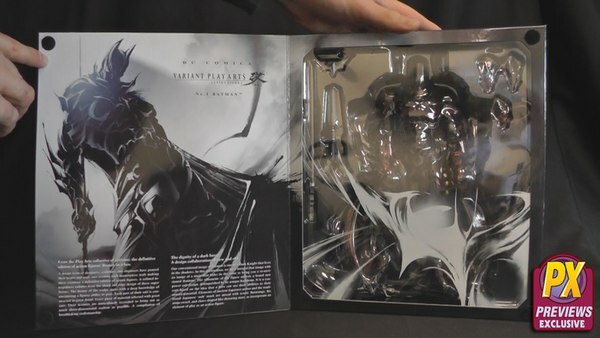 Look for it at your local comic shop on February 26th, 2014!